I hope you are well? I am sorry it has taken so long for me to get back to your email. 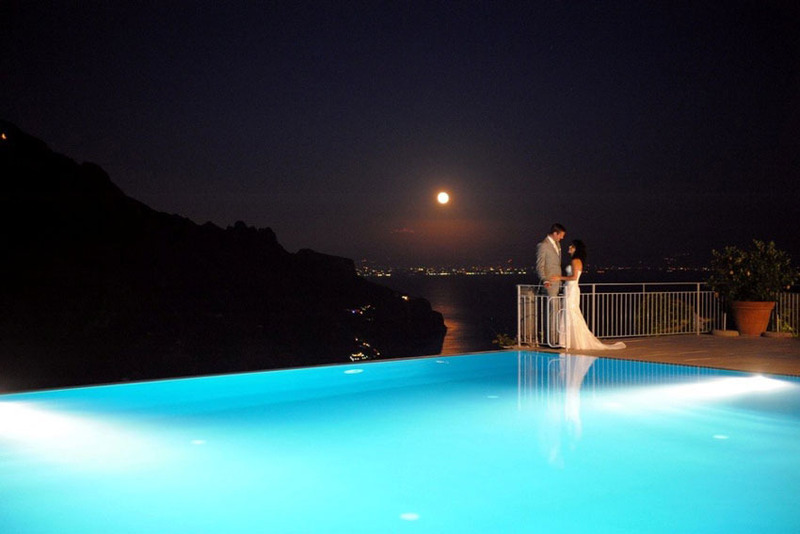 We would like to thank you for all the effort that went in to planning our wedding in Ravello. The wedding day was amazing and the venue was just SO stunning. Having not travelled to Amalfi before, Exclusive Italy's recommendation to get married in Ravello based on our requirements and preferred ceremony and reception was absolutely spot on. Ravello is such a beautiful and romantic place and was just perfect for our wedding. It was our first trip to the Amalfi coast and also for many of our family and friends. Everyone really enjoyed their time in Ravello and Amalfi and many have commented that they will be returning at some point soon in the future for another holiday- as will we!! We would like to say a special thanks to you for all your assistance in planning the wedding and suggestions you made to give us ideas for the ceremony. You were patient in answering the many questions (over email and by phone) which we had and we were at all times confident that you had covered all aspects of the wedding and everything was under control! The event was planned exceptionally well and on the day Rosie our wedding coordinator, whom we would like to say a special thank you to, made sure that everything was going to plan. We didn't have to worry about a thing and family members commented on how helpful Rosie was and that she was fantastically calm. The musicians were all excellent throughout the ceremony, canapés and dinner and the DJ also got almost everyone on the dance floor in the evening! The photographer and videographer were excellent and the photos are great quality. The service was not at all intrusive and we were very pleased overall. The wedding photos are just how we had requested and every moment of the day has been captured. They were delivered the next day to our hotel room which was a lovely surprise! The day was just how we had imagined and more. We and our guests were truly stunned by the wedding venue, the superb food and how well the event was run overall. We would without question recommend Exclusive Italy to anyone deciding to get married in Italy! !